Biathlon fan? Then be sure to take a day trip to Hochfilzen or Erpfendorf during your stay in Kirchberg. 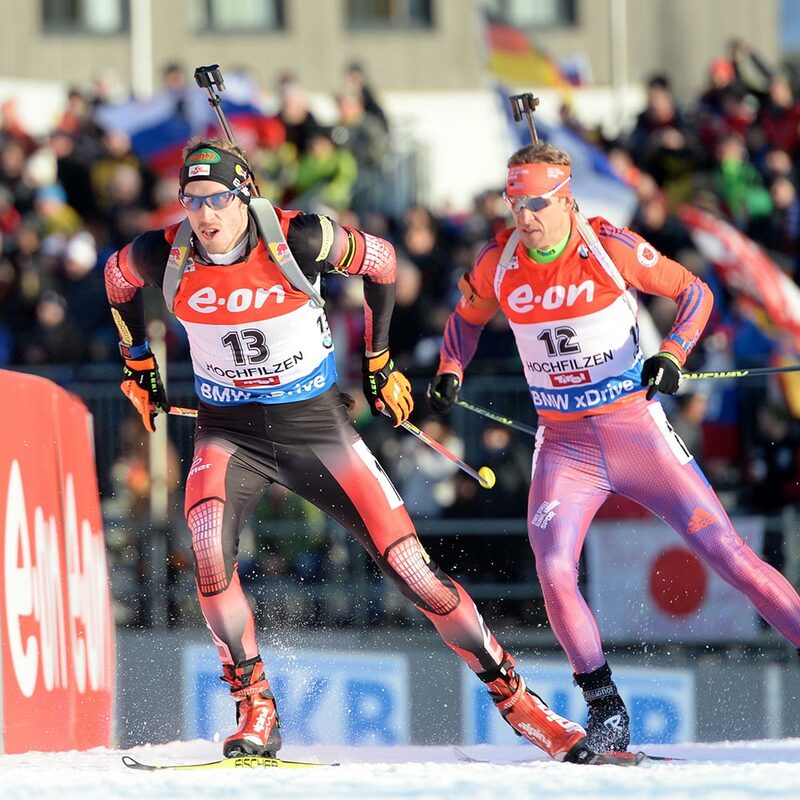 With thousands of fans on the cross-country ski runs and millions of television viewers, the biathlon in the Kitzbühel Alps excites sports fans around the world. Hochfilzen is well known to biathlon fans as an annual host of the BMW IBU World Cup and most recently as the venue for the Biathlon World Cup. Hochfilzen is around 45 minutes from the Relais & Châteaux Rosengarten in Kirchberg. 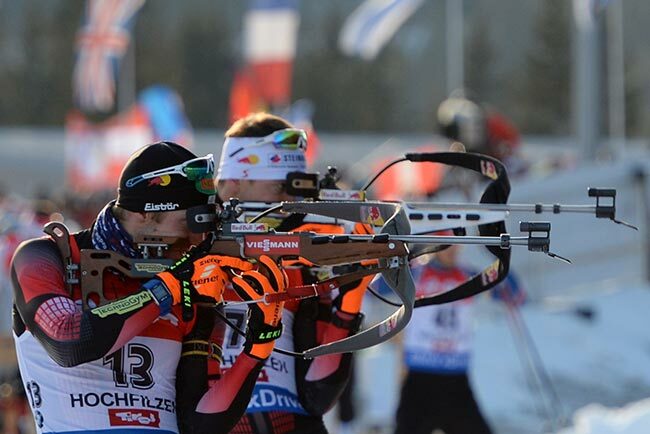 Tickets for this exciting biathlon in the Kitzbühel Alps are available on the event organiser’s website. At the Erpfendorf Biathlon Centre – around 30 minutes from Kirchberg – you can take your first steps onto the biathlon athletes’ cross-country terrain during a taster biathlon in the Kitzbühel Alps. Anyone can use the special cross-country biathlon training trail – no prior knowledge is required. You’ll head onto the cross-country ski run and the shooting range under the guidance of our experienced trainers.